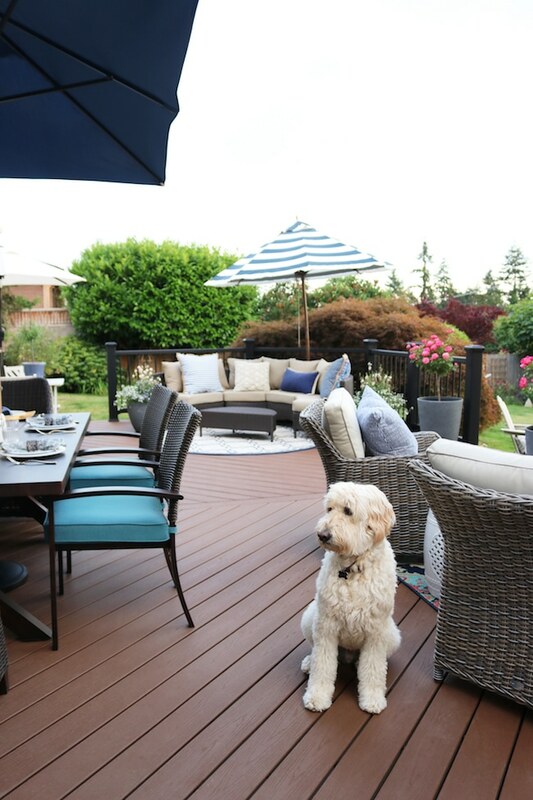 Welcome to our backyard and the reveal of our brand new Trex deck! The day has finally arrived. 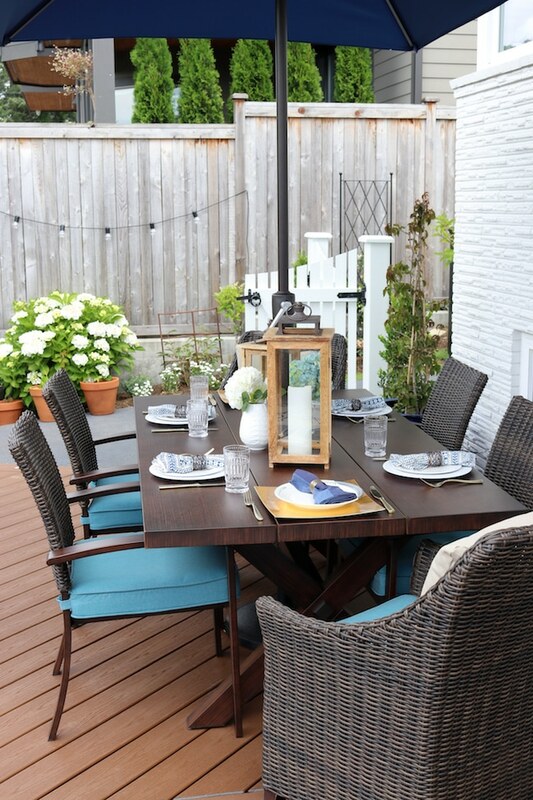 It’s not every day that I get to share such a big project reveal, I’m so excited you’re here for the VIRTUAL DECK REVEAL PARTY (and thanks for offering to bring such delectable sounding snacks and treats, the winners of the Simple Gatherings book giveaway were emailed last night!). I have a lot to show you, so get ready for lots of photos! Did you see the other posts on how we designed and shopped for the deck and the deck build process? You can go back and catch up anytime! 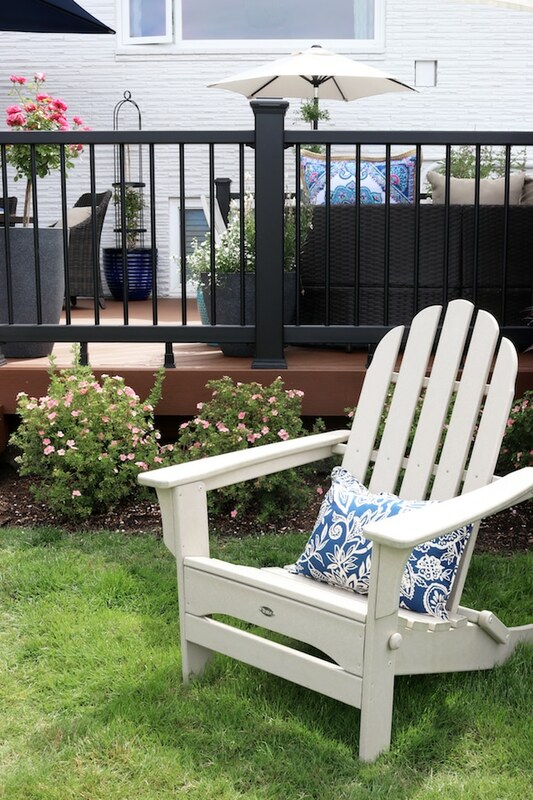 If you’re hoping to have a deck built at your home you’ll find helpful information in those posts, too. Just so you can visualize what it would feel like if you were actually at my house, this is where you would approach the deck if you walked out of the dutch door in our newly remodeled kitchen and headed down to the backyard. If you’re new here, for point of reference our home is located in the city of Seattle in the beautiful Northwest. 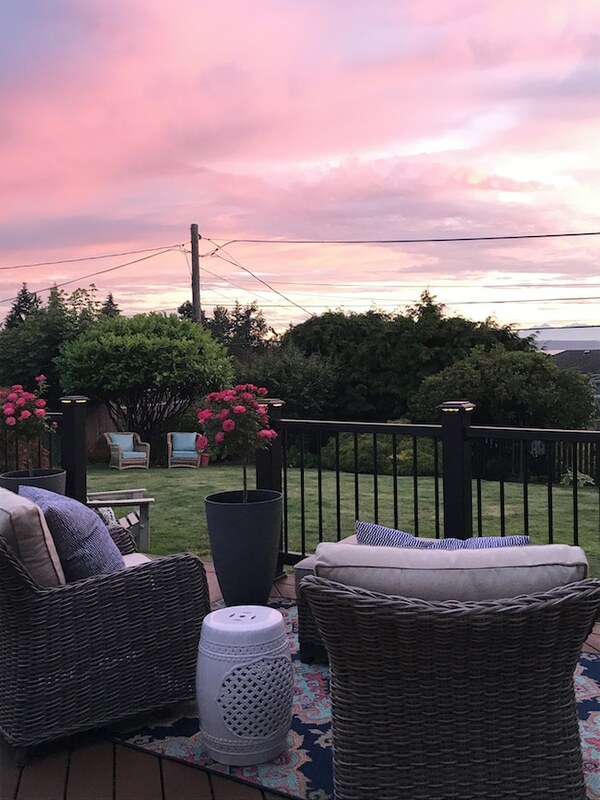 Our backyard faces the Puget Sound, so we get to see sunsets and a glimpse of the water as well as the Olympic Mountain range! I’ll talk about this area more in a bit. But first let’s head down to the backyard! 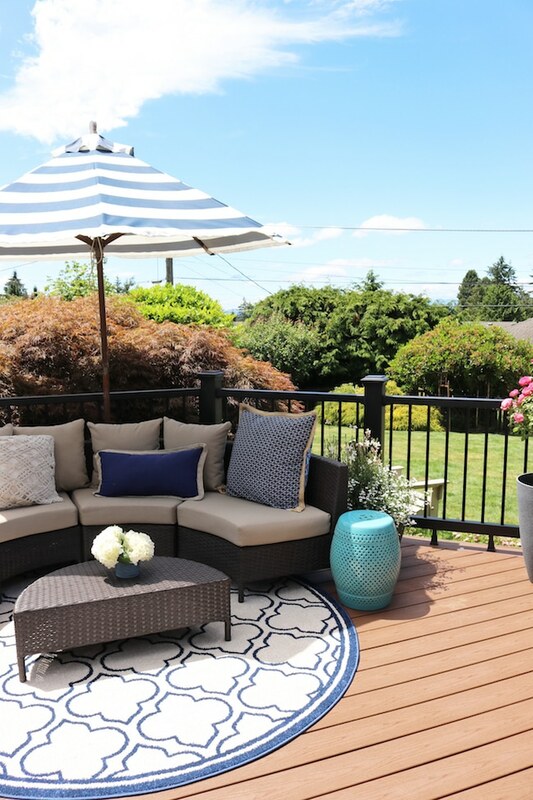 I can hardly believe what an impact this deck has already had on our life! We absolutely LOVE being in our entire outdoor area now. 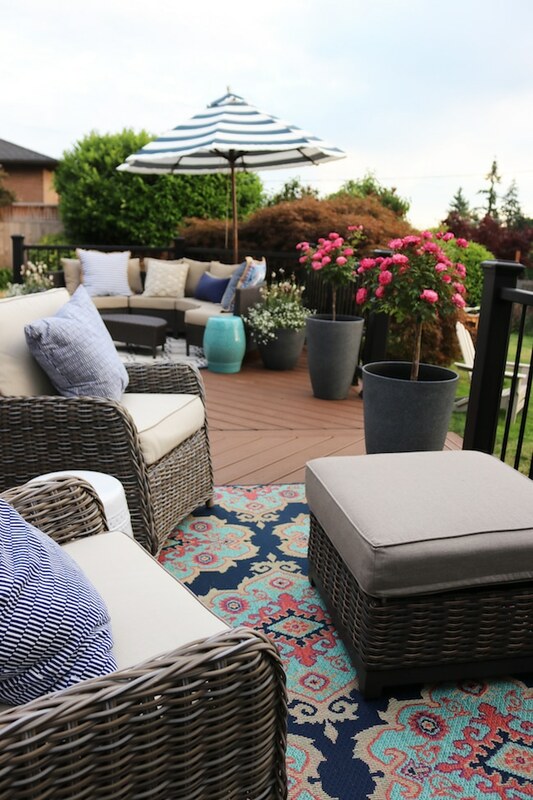 The deck makes it all feel so inviting and comfortable. Who doesn’t like to see a before and after? 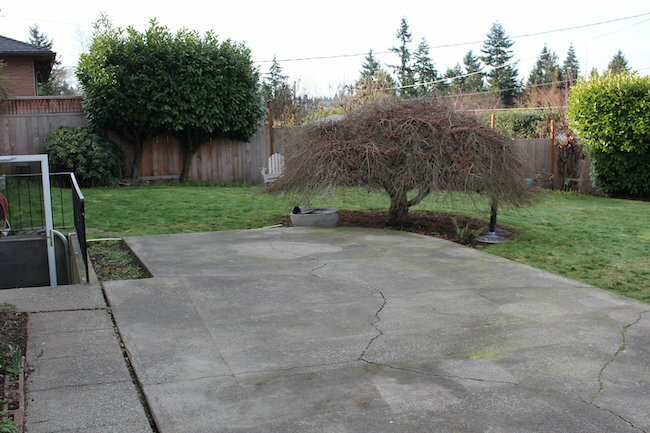 All we had was an ordinary old cracked patio. Bonus in the before shot, the house wasn’t even painted yet so it’s a double before and after! I couldn’t be happier with how far we’ve come! So much better than it was. We love being out here now. Somehow adding the new deck made our whole yard feel bigger, too! 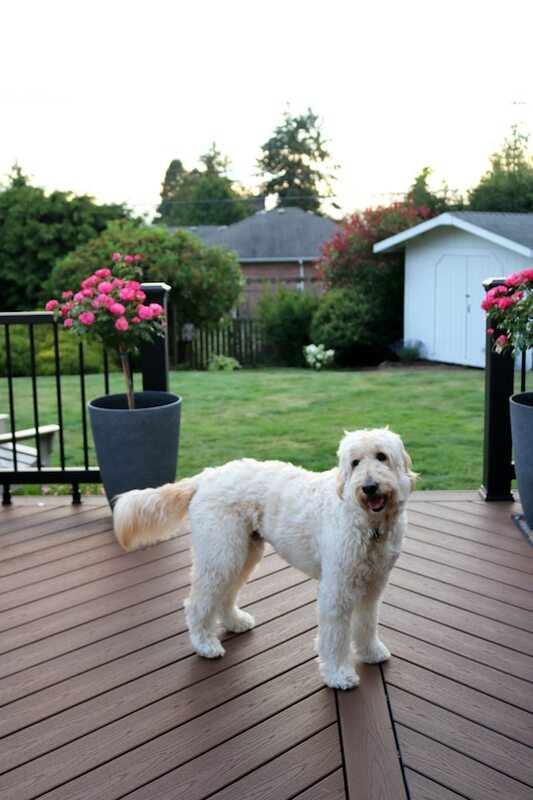 Our pups love the deck, too. They think it is their new personal playground. 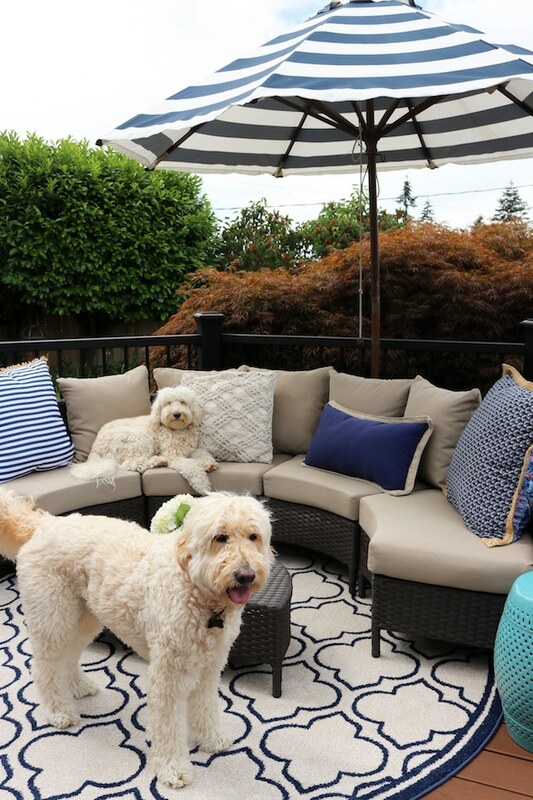 The new deck offers us plenty of useful space for us humans, too, so we were able to create several functional areas with furnishings. We’ve never had a large enough outdoor dining table, so first on our list was to establish an area for our family to gather to eat. Our two daughters are grown, but they live nearby (and our son is still at home finishing high school this next year), so we know this space will get a lot of use for family gatherings. With the large rectangular market umbrella, the table is shaded during the day making it an ideal spot for breakfast and lunch, too. The table comfortably seats our family of six, but this past holiday weekend we pulled up extra chairs for our extended family when they were here for the 4th and there was still plenty of room. 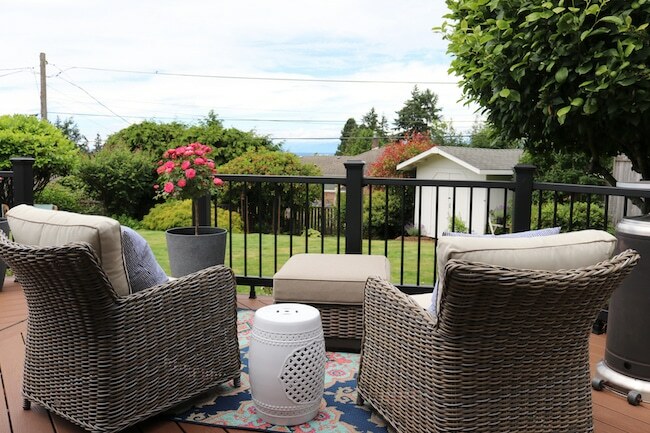 The deck is really going to be an amazing place to host a large party, but it’s also set up to be comfy when it’s just the two of us. 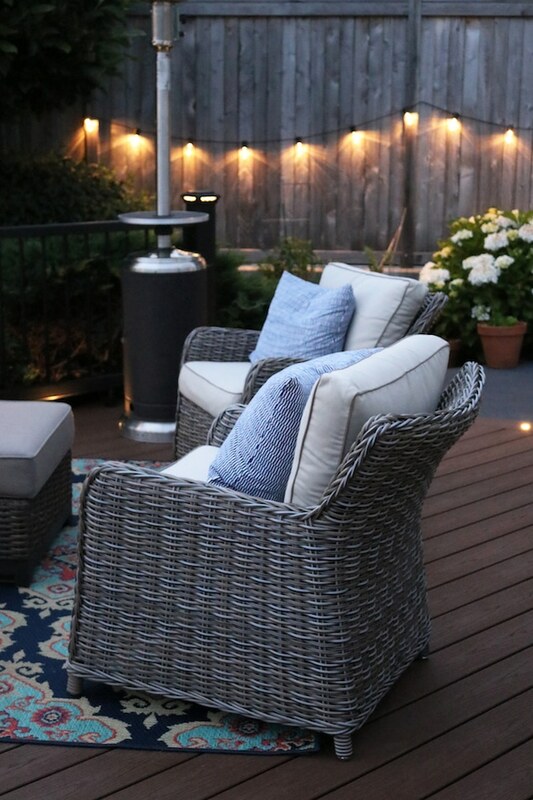 Because my husband and I love sitting outside after dinner to watch the sunset and during the day to watch the birds, we now have a cozy seating area for two (near the patio heater to keep us warm on cool evenings!). I really LOVE these new chairs! They not only look amazing but are also really comfortable! 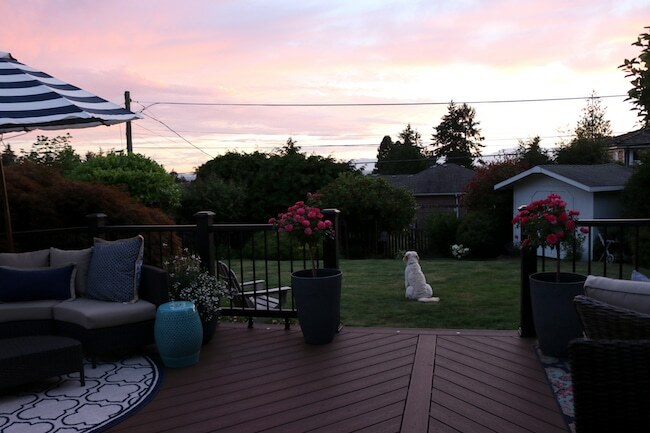 By turning them towards the backyard, we get to look out towards the great view. 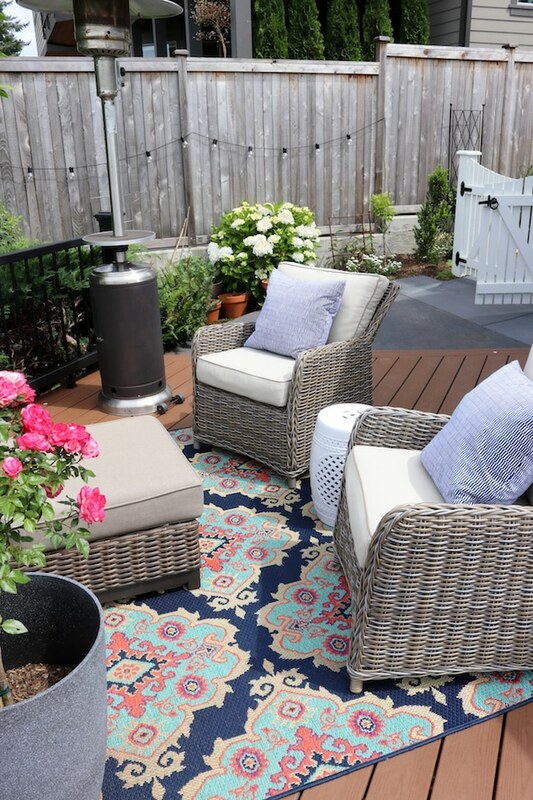 The rug helps define the space and gives a splash of color and fun pattern, too. 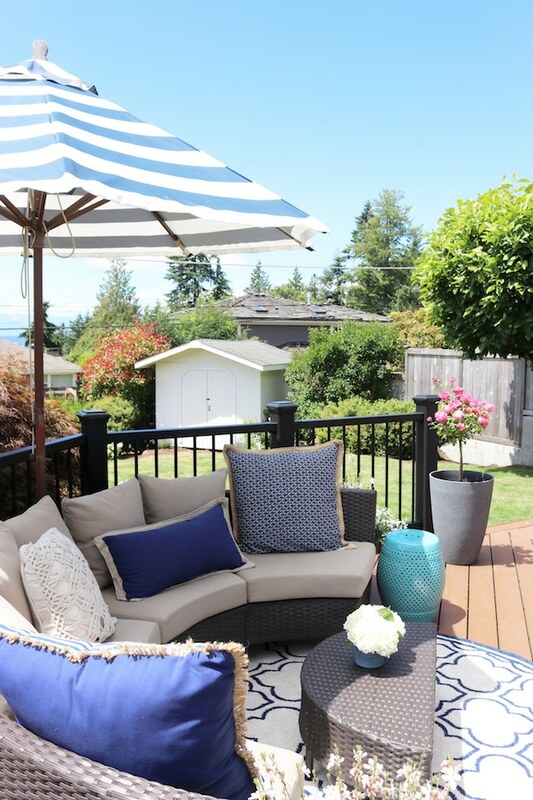 On the other side of the deck, opposite of this area, we put a rounded sectional and area rug to create a larger conversation area. It all fits so nicely with the angled shape of the deck in that corner! We still have plenty of room here to pull over more chairs as needed. It’s also a place where we can set our fire fountain, or even set up a table or add lounge chairs. 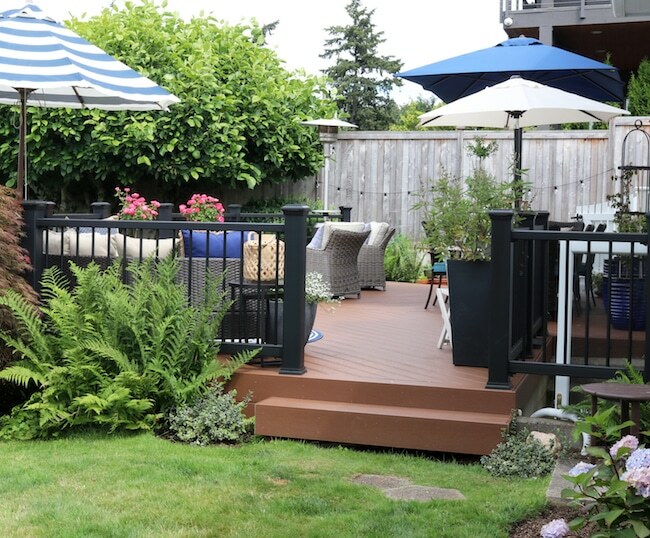 The size and shape of our deck is so versatile, we know it will always be evolving to suit our needs! 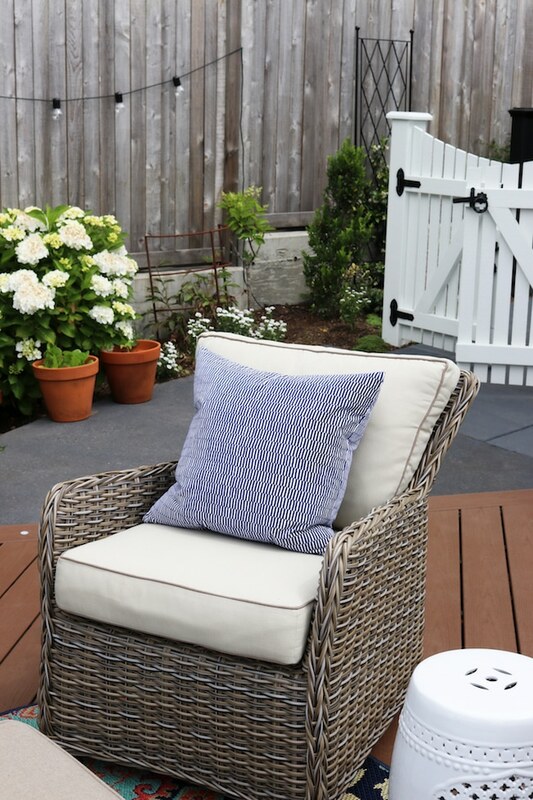 Most of the outdoor furnishings featured on the deck can be found through Lowe’s! 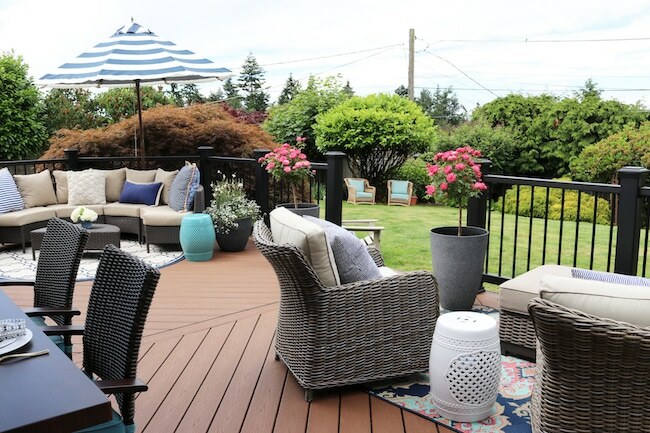 So not only can you head to Lowe’s to design a Trex deck and make it a reality from concept to build, you can order new outdoor furniture and rugs so you can enjoy your completed deck, too. So convenient! You’ll find the specific source links at the end of the post. 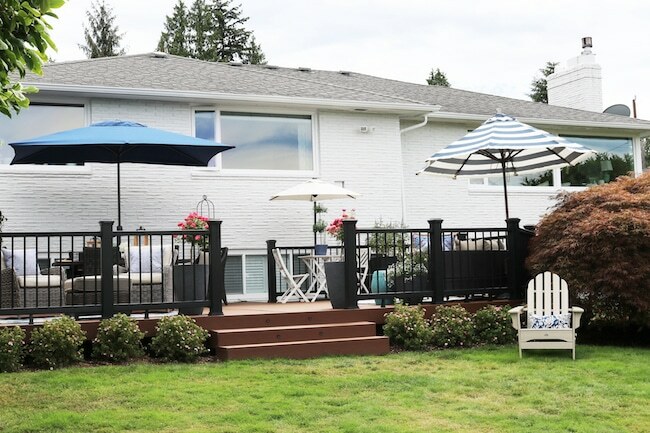 If you have been following along with this project, you might remember that this low deck was able to be installed over an old concrete patio. 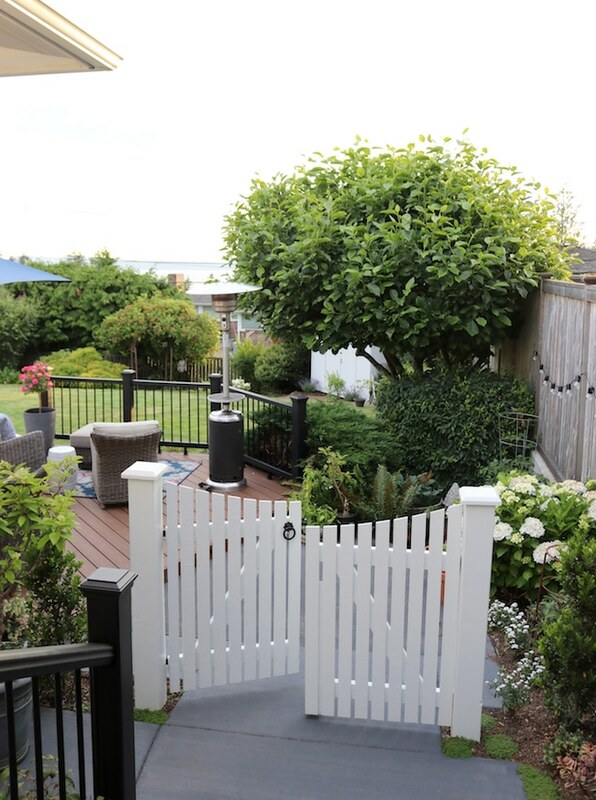 You can see how the deck connects to the side yard through the double gate with a new concrete patio and steps we put in a couple of years ago. 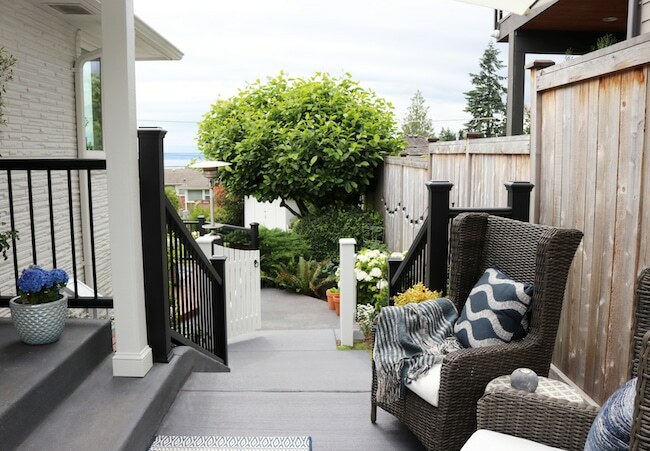 I love the railings around the deck! I love how striking they are with our white brick home and how they echo the black and white design of our newly remodeled kitchen, too. 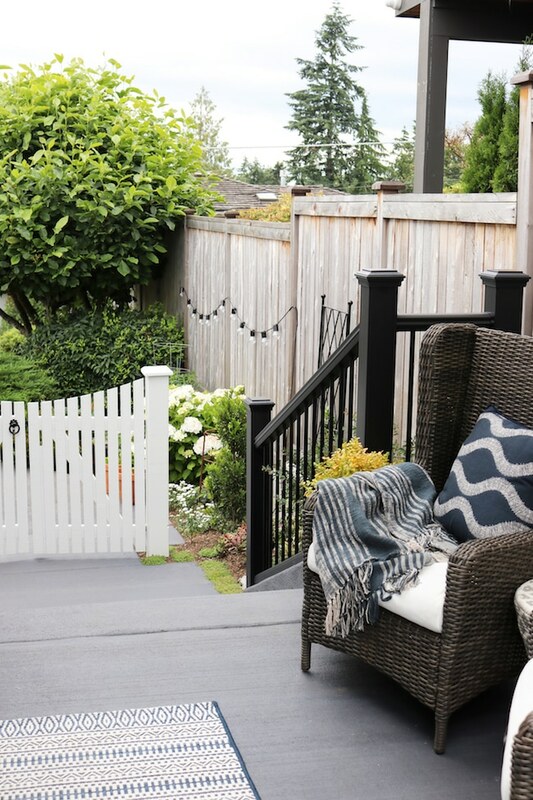 Our railings are called Trex Enhance in Charcoal Black. 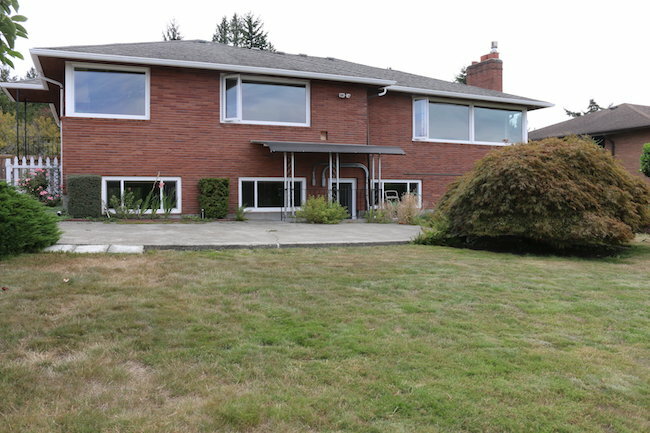 But I also think they really complement the landscaping and our northwest greenery around the property! 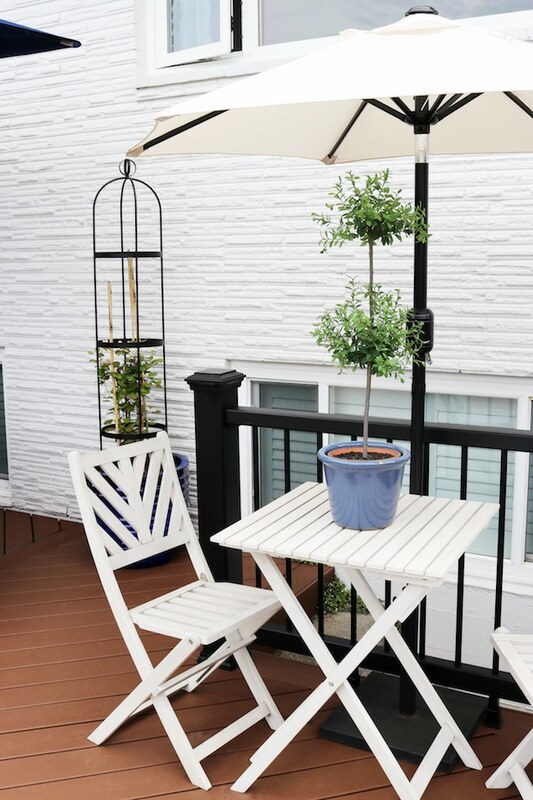 When we were designing the deck project, our intention was to add complementary railings on this side porch area since both are visually connected. 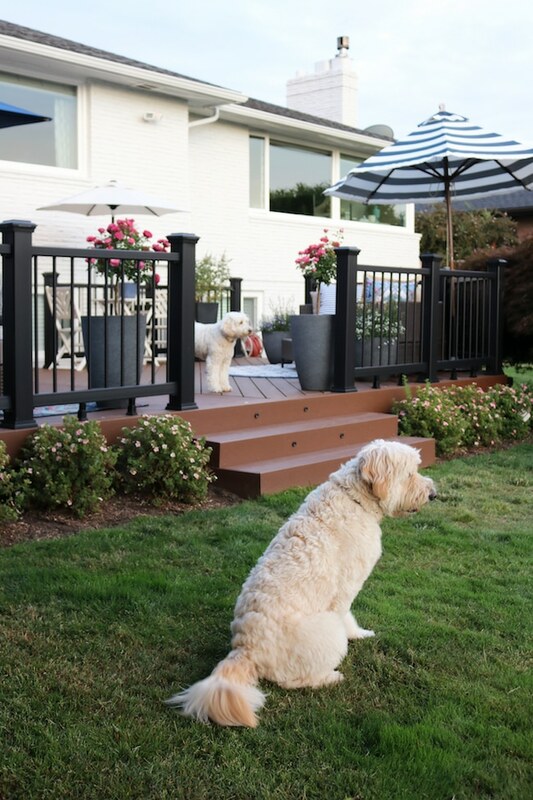 I was thrilled that Trex offered a black railing that we could have installed on the concrete as well as the deck! The railings turned out even better than I had hoped, I can’t stop going outside to walk up and down the steps to look at it all. It not only looks great, but it is great to finally have railings. Now people can walk safely up and down the steps and I don’t have to fear that a dog or human will take a wrong turn and plummet off the porch. So many little things you appreciate when you’ve waited a very long time for something! And for those of you who are regulars around here, you may have noticed we finally have our completed porch posts, too. Bless. I’m still keeping my fingers crossed that we’ll soon have the gate we’ve been waiting for, but let’s talk about that another day. We’ve been doing a lot of planting in this area, and it’s fun to see it growing already! 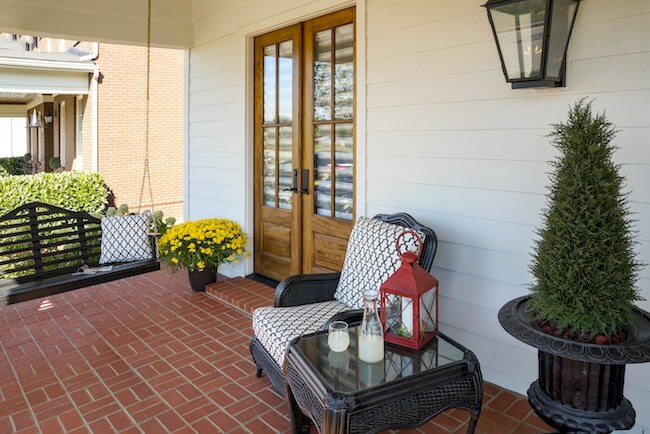 We can’t wait until it’s really lush and fills in around our gates and deck, but when we look back where we started with this side porch, we can’t stop smiling at the transformation. You can’t even recognize it! 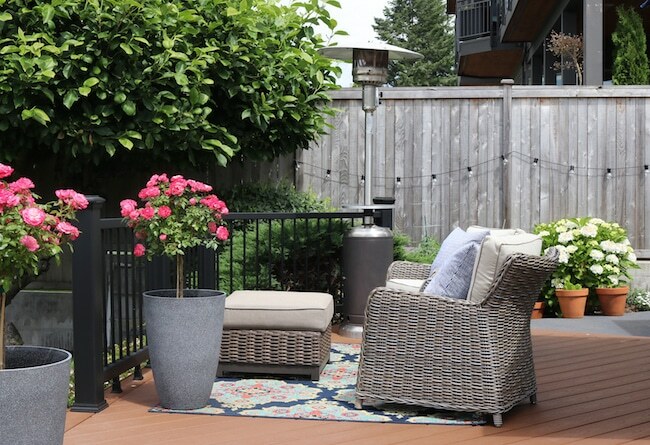 If you’re planning your own deck project, you may also want to add plants and furnish the space for maximum comfort so everyone will want to be outside as much as possible! 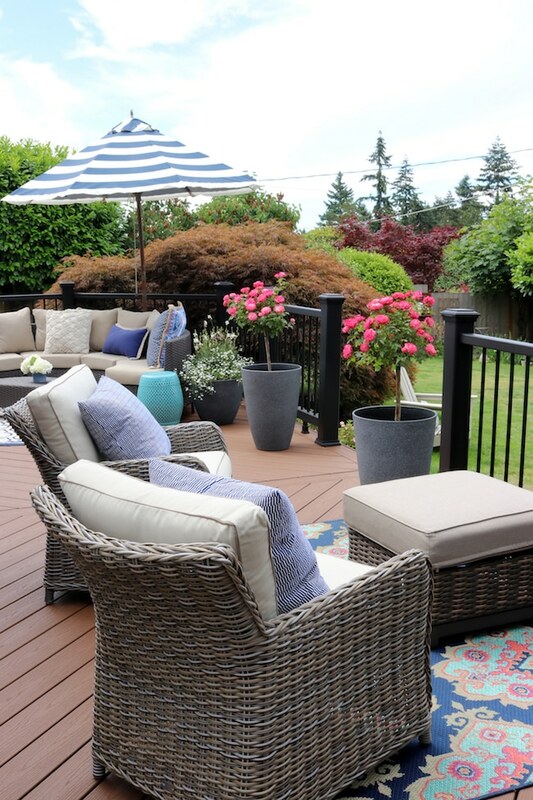 Once you have the deck built, it’s the little details like seating, tables, rugs and umbrellas for comfort that will make your deck feel and function like another room of your home. Our backyard faces the west, so we have bright afternoon sun. 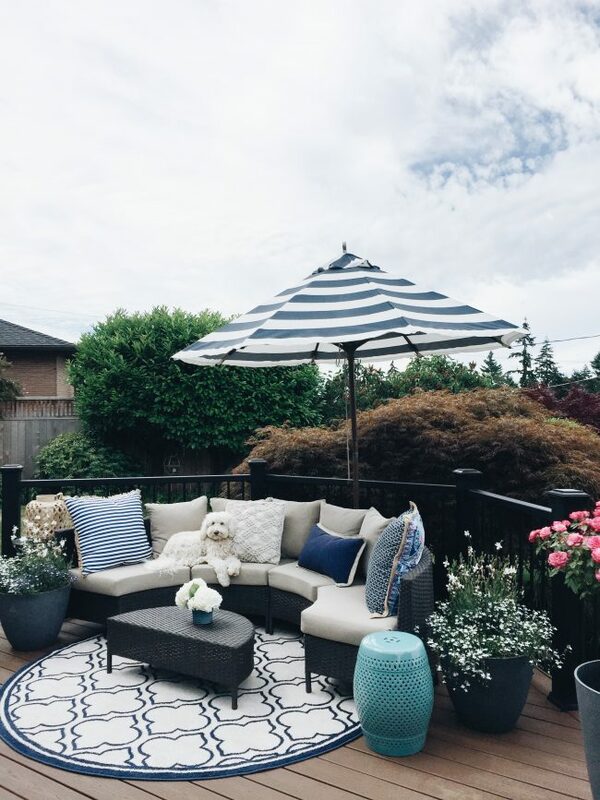 The patio umbrellas placed strategically around the deck keep the sun out of our yes and make the entire deck so much more comfortable on hot afternoons. 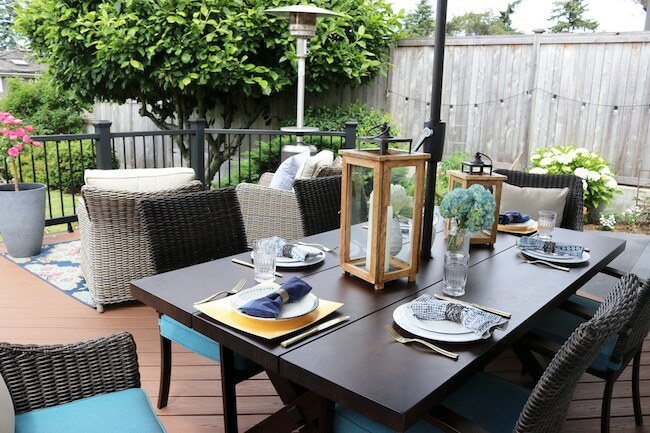 Of course, you don’t have furnish your deck or redo your whole backyard all at once if you don’t want to. We have many projects we’d like to do, so we are always saving some improvements for another year. We’ve been working on various parts of our outdoor spaces for nearly three years. Taking baby steps consistently will eventually get you where you want to go. I love when all the magical little lights come on! 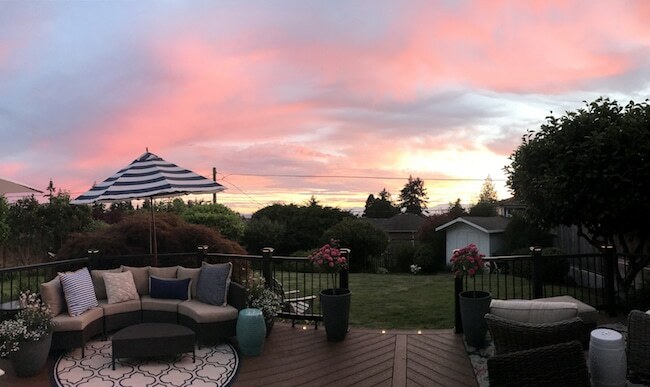 I took a panoramic the other night during a sunset, so you could see more of the deck than I can ordinarily show with my camera. 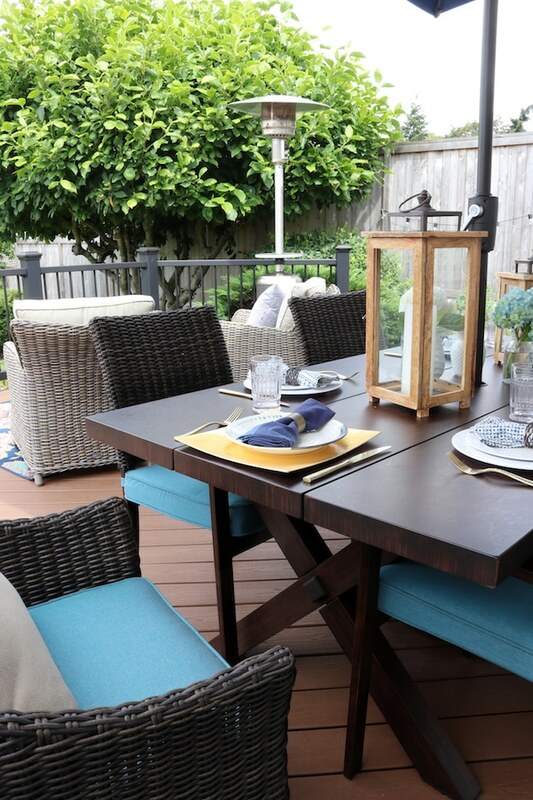 The new deck has added so much to our life, it really changed how we live. It’s exceeded our expectations in every way! Now you’ll know where to find me! I’ll be sitting out here every day because it’s become my office, my personal retreat, our family dining area, and so much more. 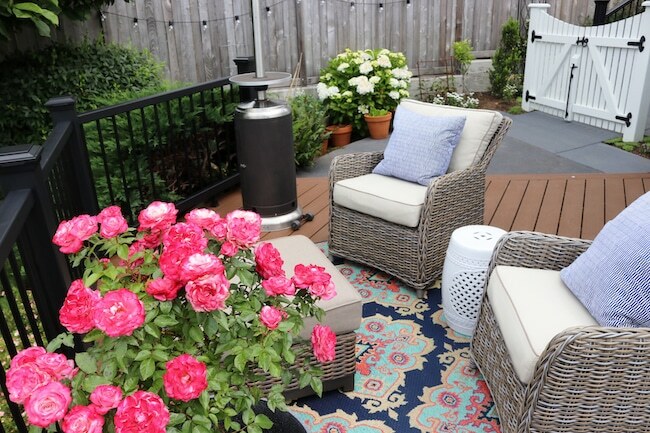 I’ll be sharing more details on our deck, including more before and afters of our outdoor spaces and other details all summer. 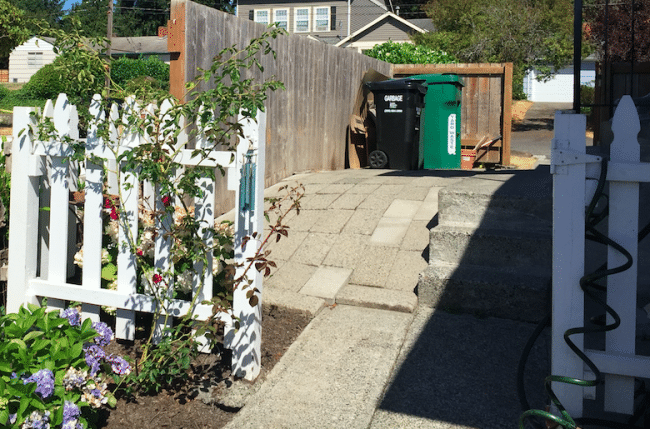 Thanks to Lowe’s and Trex for partnering on this project and to you for following along! 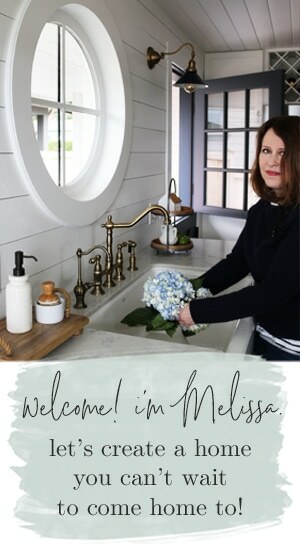 Want to stay in touch with my future home updates, blog posts and makeover projects? Click here to keep up with the latest happenings via email. Follow me on Instagram for behind the scenes stories. 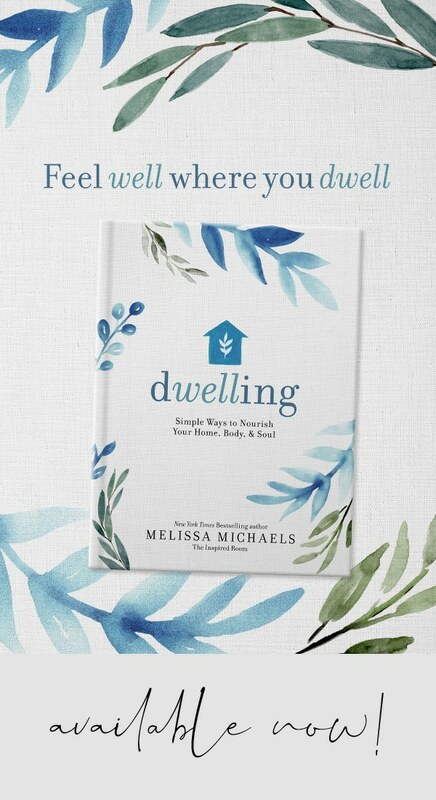 You can get a little tour of the interior of our home here. Catch up on some of the previous exterior project posts here. 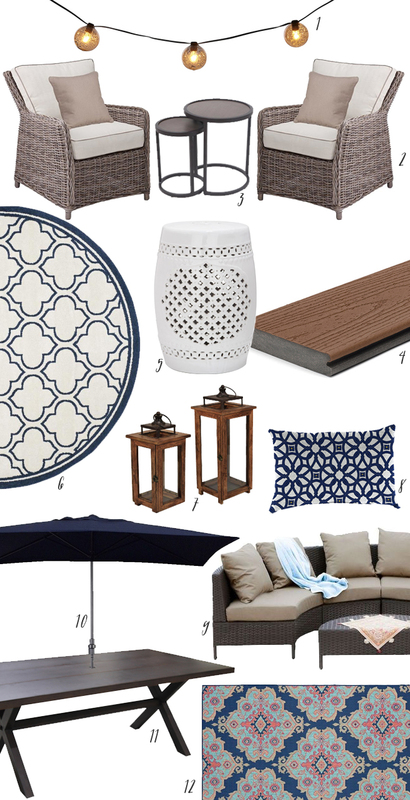 Sources for many of the furnishings (provided by Lowe’s) are below. Begin planning your own Trex deck and schedule Lowe’s PSE (Project Specialist Exterior) Installation service here! Installation and furnishings provided by Lowe’s. 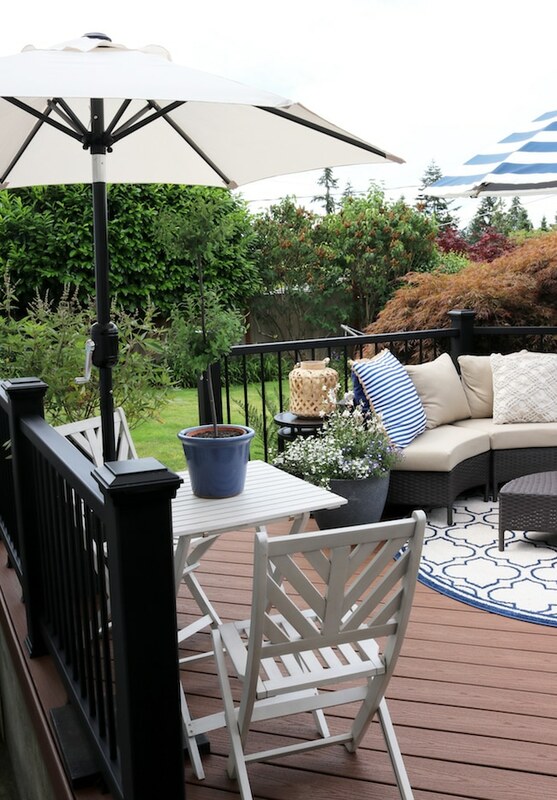 Catch up on this project: how we designed and shopped for the deck as well as read more about the deck build process. A well-designed house should make you happy when you see it. James Hardie‘s commitment to artistry and innovation allows for beautiful, timeless designs and uncompromising performance to elevate everyday life. I’m always drawn to a house with inviting curb appeal. Driving through neighborhoods and looking for homes that have something special about them has long been one of my favorite pastimes! There seems to be a magic combination of elements that will make me stop and stare. 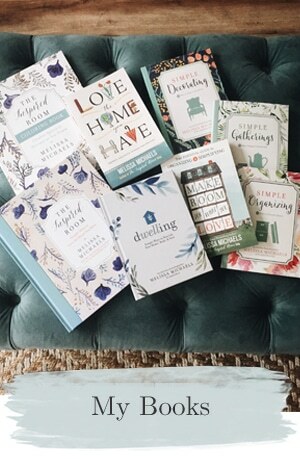 It’s really not just one thing or one style of house! 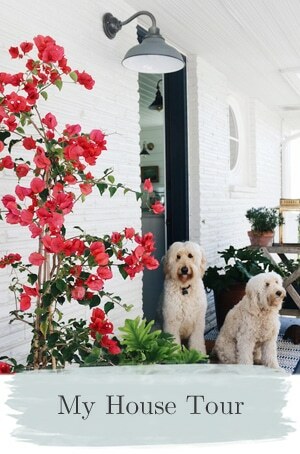 A beautiful setting, gorgeous landscaping or a favorite style of home will all speak to me, of course. But it’s not only fancy houses that make my heart skip a beat! I find that effective use of color, accessories, lighting, siding material and trim detail can contribute to the curb appeal of a home. 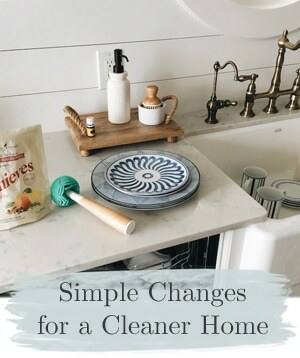 Today I’m sharing a few tips and tricks that I believe can take any home from ordinary to extraordinary. 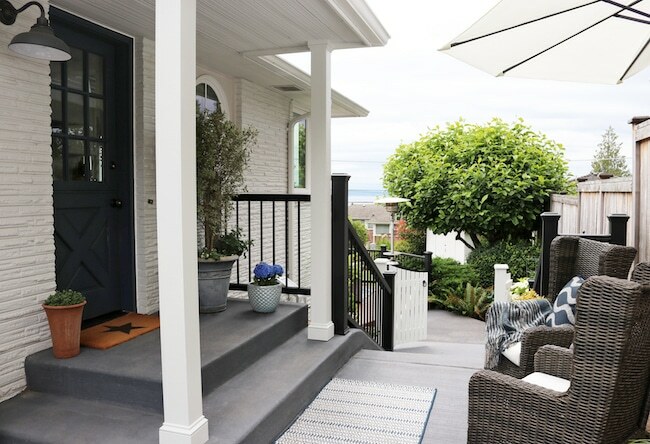 If you’re living in a neighborhood where homes are pretty basic or all look the same, this could be your opportunity to give your home the curb appeal advantage. 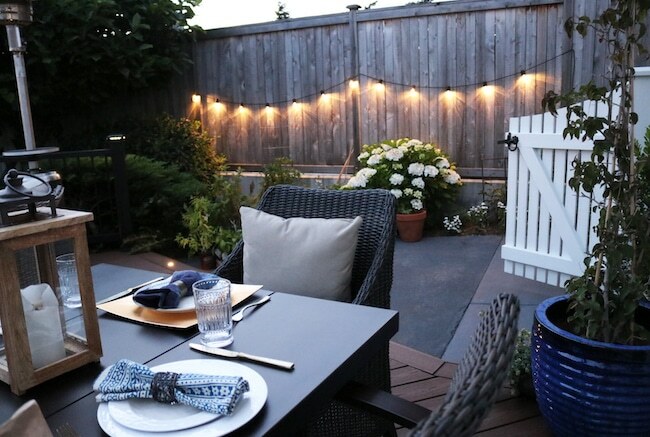 New exterior lighting can be an easy place to start. 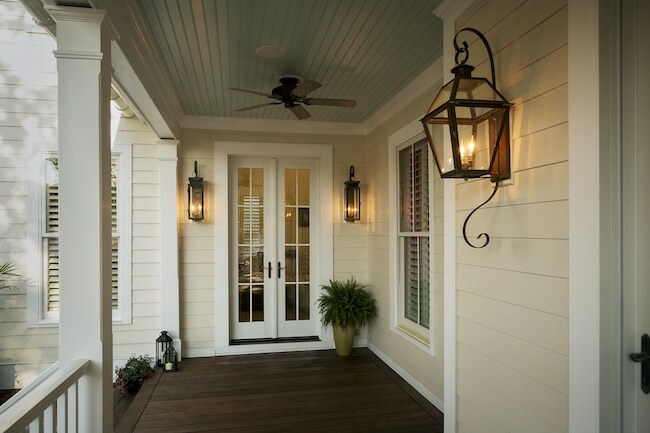 Switch out basic lighting and replace it with a look that is unique, but also highlights your home’s personality. 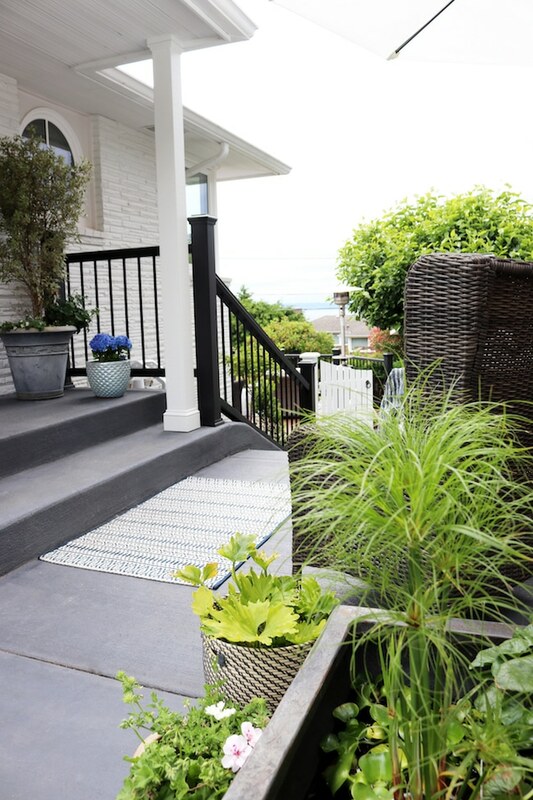 New landscaping can create a more welcoming statement and set your home apart on the street. New address numbers are like statement jewelry–they add a personalized touch. 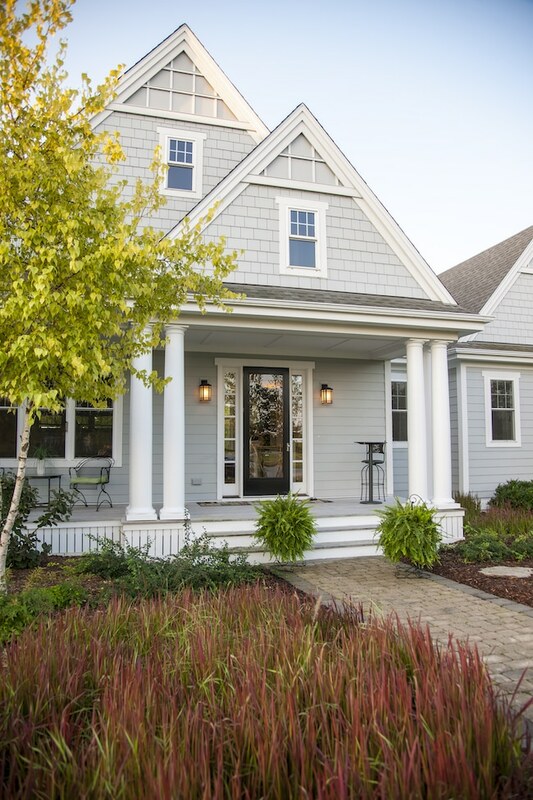 You can enhance the look of your exterior with unexpected use of siding materials. You can consider highlighting a special feature of your home by using shingles or a rock or brick facade rather than lap siding in that section. 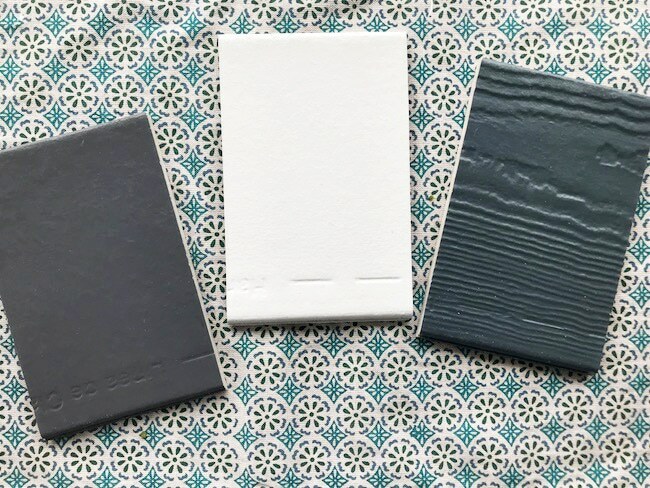 Just like texture is important inside a home, a unique combination of siding materials will add interest to the exterior of your home. 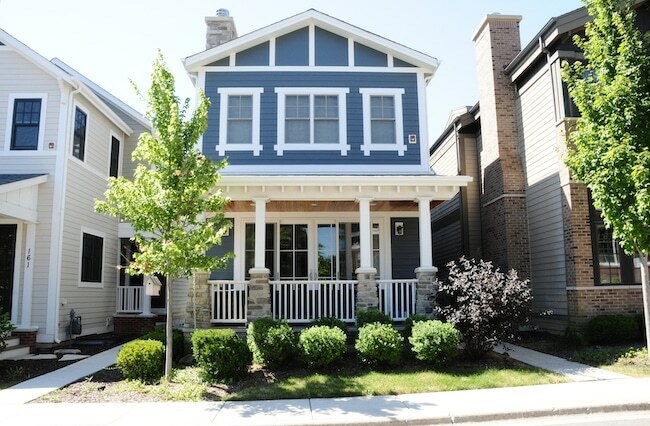 James Hardie offers a variety of products and design versatility which helps to create a distinct look through a collection of profiles, textures, widths and colors. 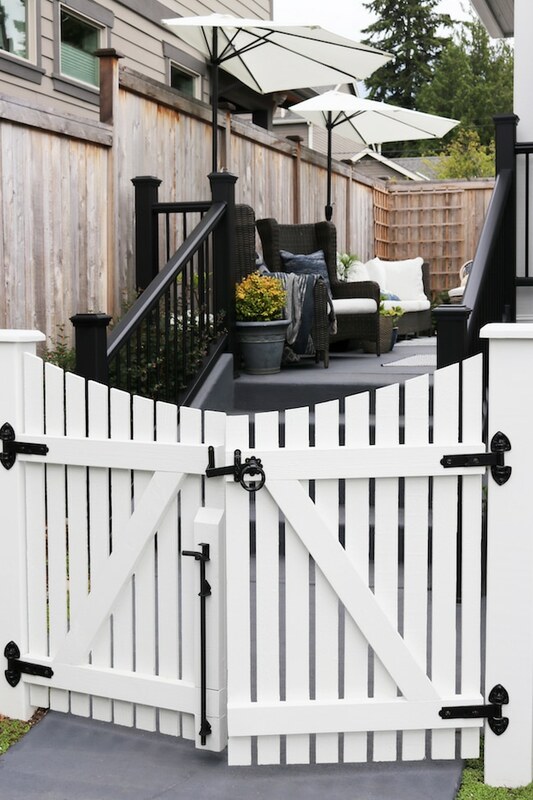 Mixing profiles can add visual interest and accentuate your homes’ most interesting features. Give your home more depth and contrast through the use of color. A darker more dramatic siding color might give your particular house more style than the typical builder beige tone found in the rest of the neighborhood. A lighter neutral color on the siding can pair with a bolder or fresher color accents to make other architectural features stand out. Or use several shades of neutrals for a soft look. Color can highlight your front door or shutters, or use color to minimize features you don’t want to focus on. If you’re selecting new siding, try utilizing the interactive Home Color Tool on the James Hardie website! It will help take the uncertainty out of your color choices by visualizing them on your home. 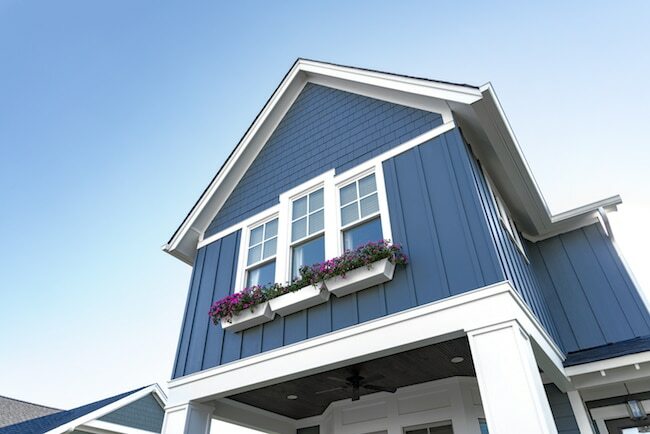 James Hardie provides hundreds of inspiring color combinations, with a color collection featuring both national colors (16) and regional specialty colors (up to 9). Check out their handy color tool here. 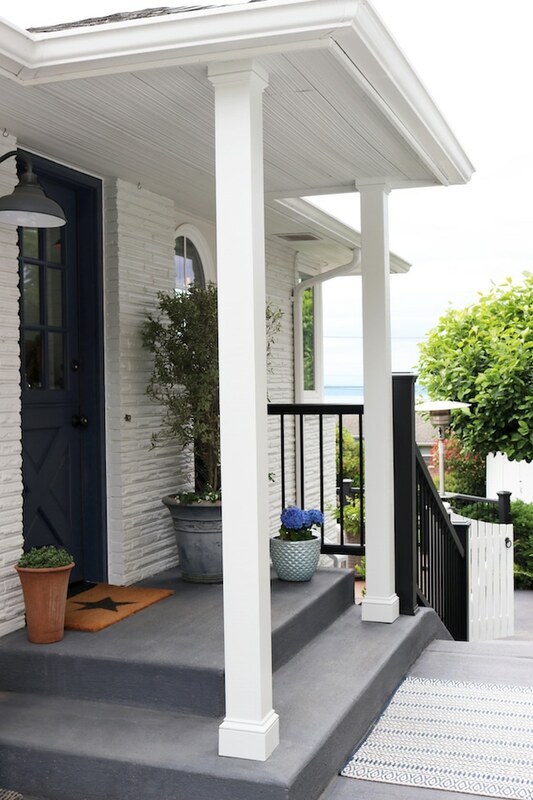 I think one of the main curb appeal tricks that draws me in is the effective use of trim work. Trim around windows can give them more presence and architectural interest. Trim can make even diminutive features appear larger and more dramatic. Thick trim work around a single door or columns can give an element more presence. 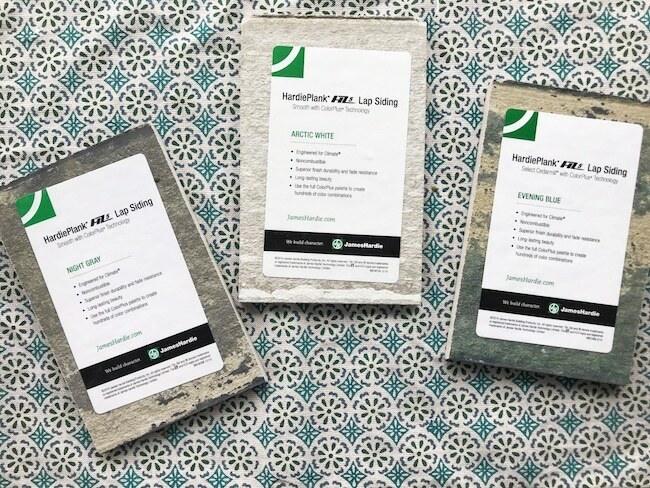 Add HardieTrim® boards to add a clean, finishing touch to porches, columns, doors, windows and more! 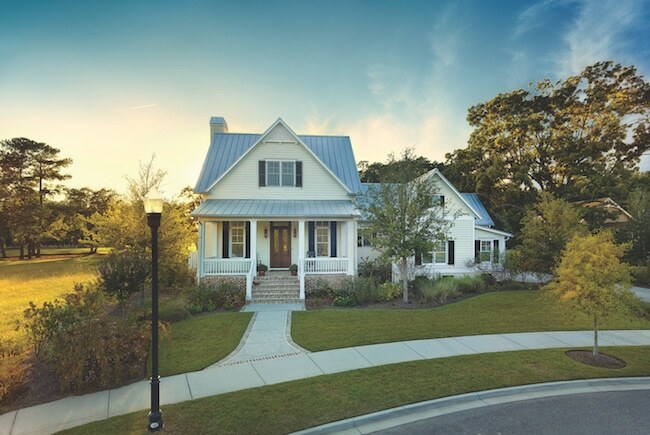 James Hardie is America’s #1 Brand of siding, offering a versatile collection of profiles, textures, widths and colors to grace homes with authentic character in the tradition of great American home design. Their products have multiple coats of paint baked on the boards for a brilliant finish and a strong bond that resists chipping, peeling, cracking and fading for years of lasting beauty. James Hardie® siding and trim are uniquely engineered to perform beautifully, despite what nature brings. 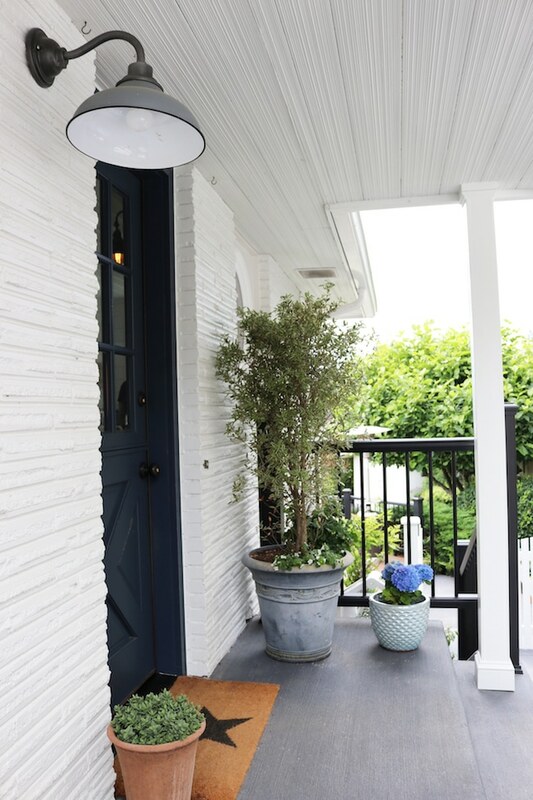 So, even after years of wet or freezing conditions or blistering sun and hot, humid conditions, your exterior will continue to impress with its warm, inviting look! You can know that your home will maintain the look you love for many years to come. 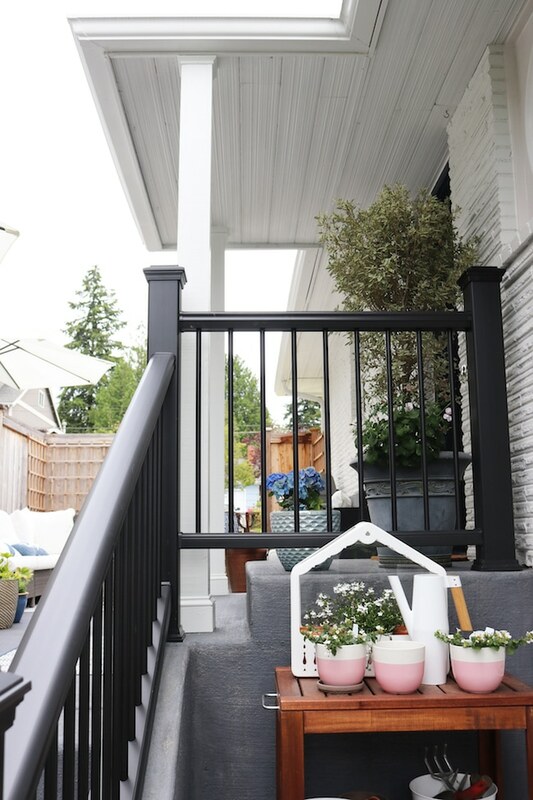 James Hardie has a beautiful inspiration guide you can download for free to get inspired for exterior projects! Download the guide HERE. You can also request free siding samples HERE. I requested a few and was so impressed by the quality and color options! 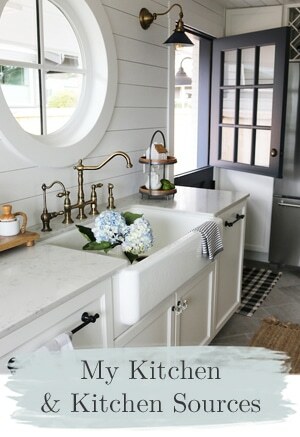 Also, here’s a fun fact…HardiePlank siding is what I used for my kitchen walls and backsplash! 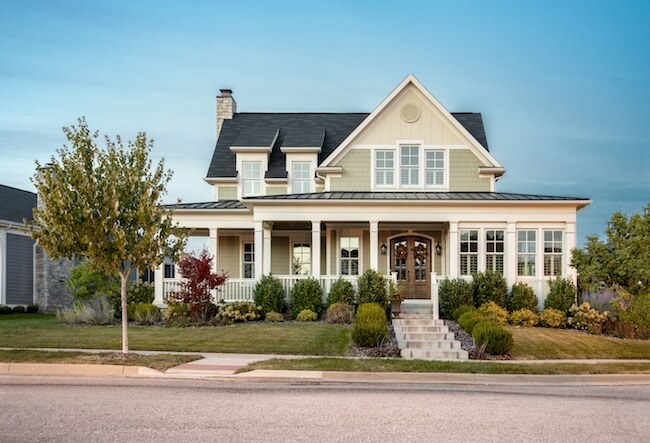 Does your neighborhood have homes with great curb appeal?